YETIsaj has released a beta of his Circuit de la Sarthe for rFactor & GTR2, right in time for next week’s Le Mans 24 Hours. He’s been working on the track for almost three years now and decided to share an unfinished beta with everyone, right in time for the big race. The beta lacks several features such as proper night lighting but should still be a lot of run to run for endurance racing fans. *Completely rebuilt right hand entrance to Indianapolis including runoff area. *Track sections have new bumps to make them feel and look more realistic. *Whole circuit looks less smooth and less fake. *Completely rebuilt Mulsanne Corner. Now has slight crest, and camber. Golf des 24 heures building added. More detail to area still required. *Rebuilt section of esses after dunlop bridge. Now the gradient is more as it is in real life. Bump in low section removed as doesn’t exist. 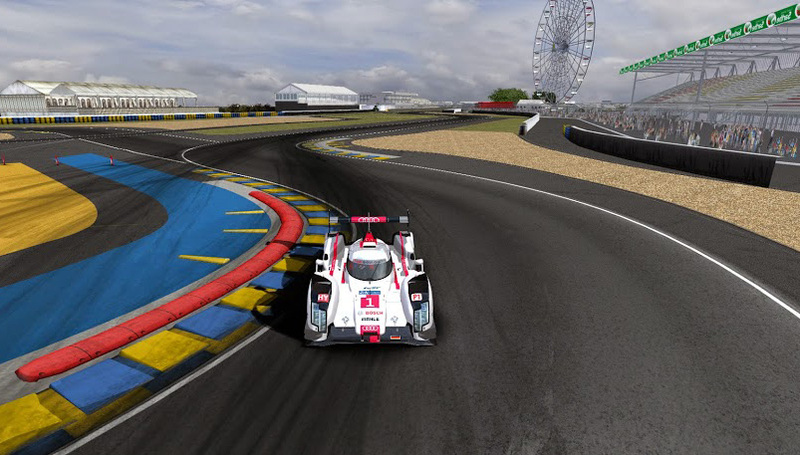 *New buildings and trees added to Mulsanne straight. *New kerbs at ford chicane to match 2014. Located in French city of Le Mans, the Circuit de la Sarthe is a semi-permanent race track used for anual Le Mans 24 Hours race. The track is 13.6 kilometers in length and includes one of the longest straights in motor racing, the famous Hunaudieres, that is a public road for all but one week each year. can someone please open a server with this track and endureacer?! It seems as though both sets of links are for the GTR2 version, any chance of some correct links for the rFactor version? Looking forward to trying this track! how did he get his hands on the 2014 r18?? It’s a ripped 3d model from Real Racing 3.
it’s just a pic stop bitching. i can ask or can’t i? Curiosity is a good thing PO, no need to be rude about it. Why is it 1.x if it is unfinished? Shouldn’t it be 0.3? Learn! Because it started as 2010 Version and has now become with various things added 2014. 1. Use an extra folder for your track config/text files, makes it easier on yourself. The track is excellent by the way. I had the privilege to test this track in rF back in 2011 for him when it was still a GTR2 exclusive, great to see it finally released for you all, even if just in beta form. This is a real masterpiece, on the same level of commercial versions of the same track. EDIT when I click to rFactor link it gives me GTR2 link, please fix! The picture is a little misleading as the 2014 updates are not included in this BETA. I wanted to release this as it has already been leaked and I see no point in keeping it secret anymore. Hope everyone can enjoy it even though its not finished. 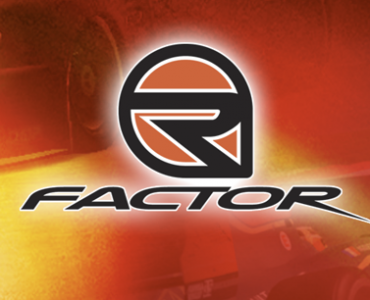 rFactor link should be working properly on my blog. Thank you a lot mate. Forgive me for asking, but will there be a Assetto Corsa version coming? Of course. When I get a chance Im gonna have a play with the track importer. But don’t expect anything to be released soon. Can anyone upload a video? Great work guys! Maybe any chance to make a version for rF2? 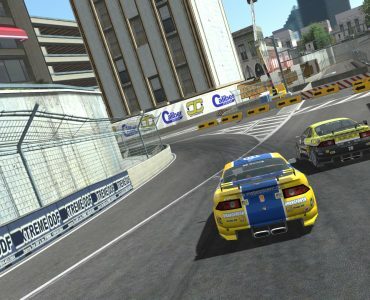 Yeah, would love to see a recent version of this great track in rF2. The track runs amazing with GTR2, but whenever I set the track textures to High or Full in rFactor, I get a Runtime Error. Any specific reason? Okay, time to get my fat arse off the sofa, close the laptop and fire up the gaming pc and go race this beauty. Thank’s for the hard work! The track os getting almost the real thing! Running perfectly in GTR2. Took the Jaguar XJR-9 round it for a few laps. A nice piece of work Simon, thank you. Now for the rFactor version and endurance mod. 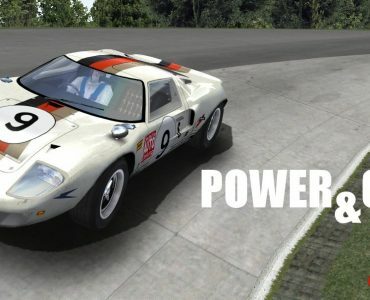 This track and the Endurance mod are a match made in heaven. Go get’em folks. Awesome work man! Can we expect some more optimization for night? 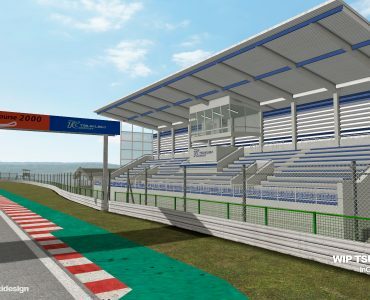 I mean more environment lights and cat eyes (light reflectors) to the whole track’s side barriers? When i was watching Le Mans 2014 onboard streams, i was wondering, it was even possible to make that for GTR2.